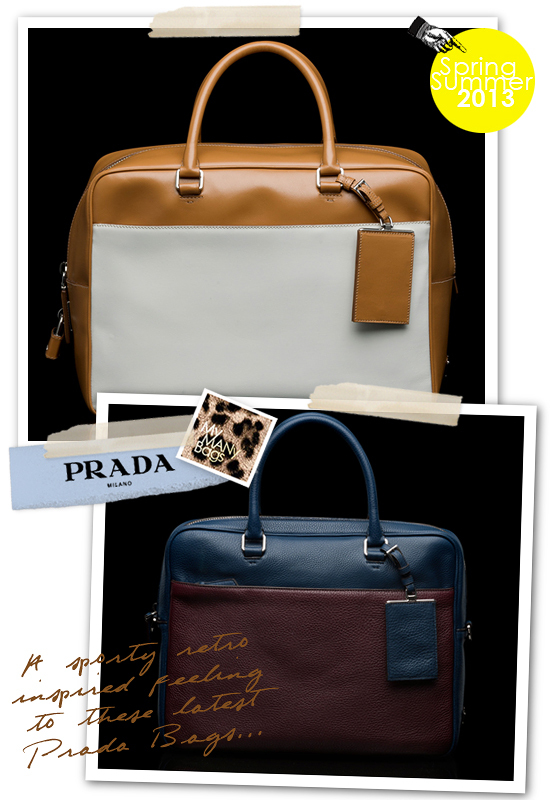 A sporty Spring Summer 2013 is what Prada is all about. Somewhat retro inspired but modernised with a graphic colourblock sensibility. 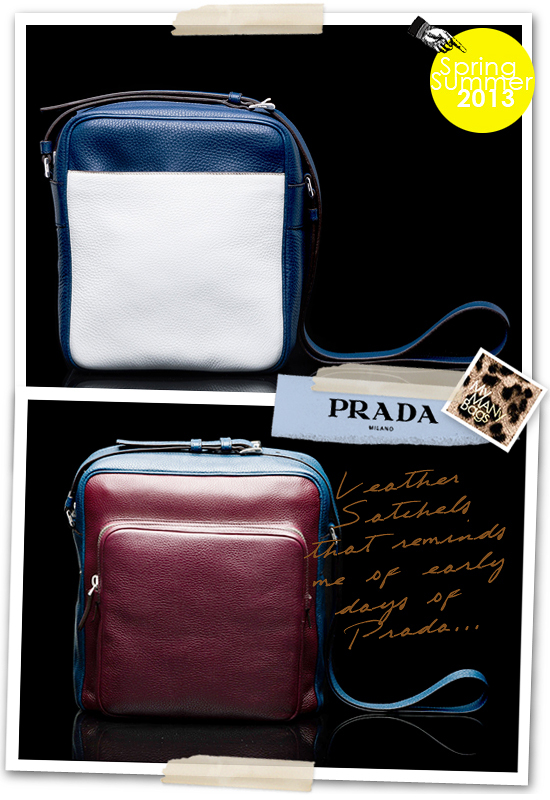 The bags are pared down in design, no extra flashy details to brag about. Colours is the key appeal. 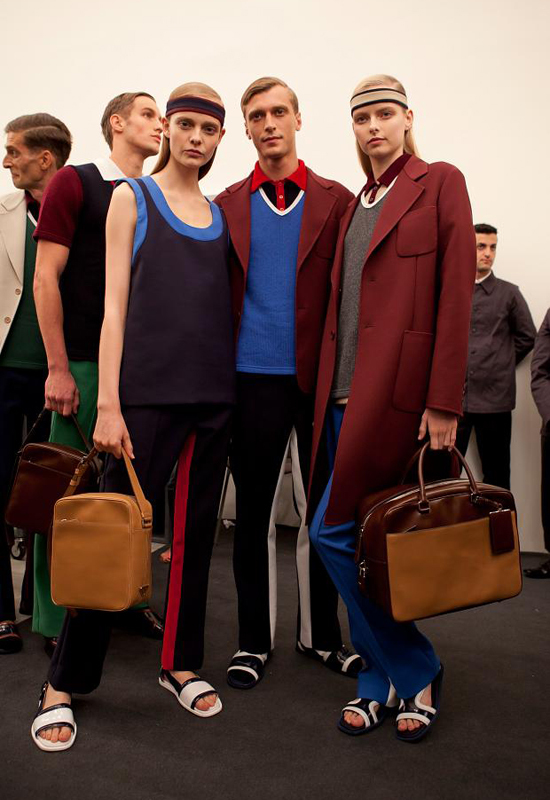 2 tone leather weekenders, travel totes and leather satchels form the backbone of the SS2013 runway accessories. Choose from either grained or smooth calfskin, these bags are a departure from the patterned frenzy Prada have been propagating for the last few seasons. Will you invest in these glamourised 'gym' style bags? Or leave them at the runways? In all honesty, I would not mind the travel bag or the leather satchel. But at the price tag of USD2295 and USD1295 respectively... I do have to ponder harder. The colour tones are briliant nonetheless. 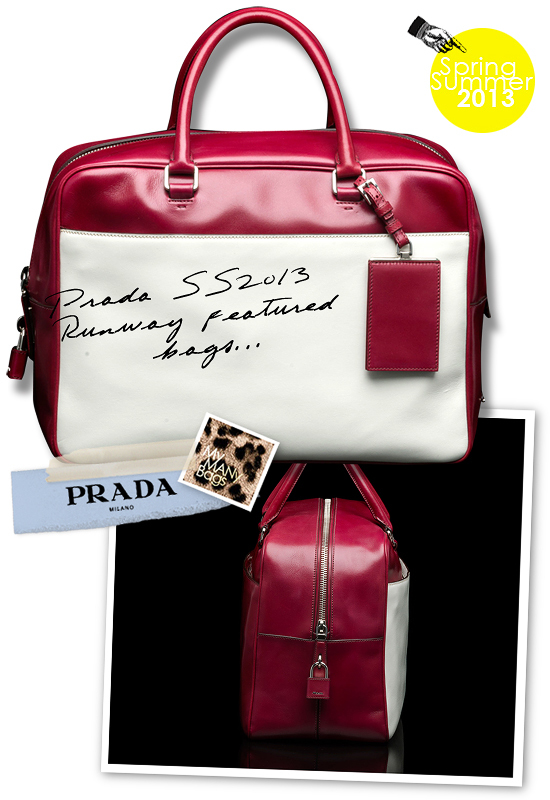 More pics of Prada's SS2013 runway featured bags on my facebook fanpage. 'LIKE' my fanpage if you enjoy reading this post.